Popup Maker can be the “superman” for your website, when it comes to shopping cart abandonment. 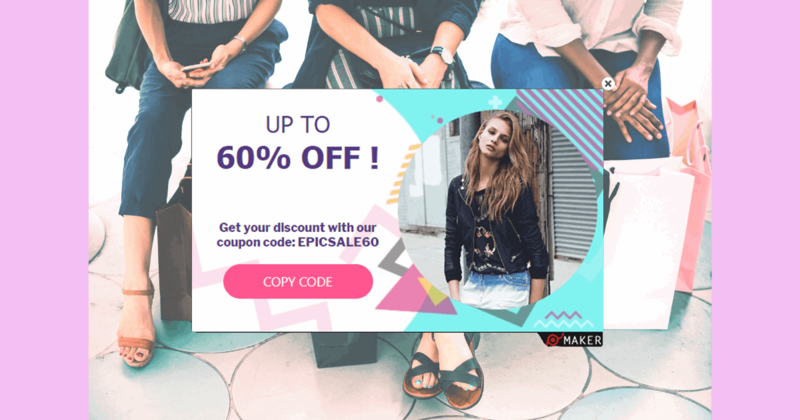 Besides all the necessary tools provided by this super popup creator tool, 50+ highly responsive popup templates are available to make your task easier. 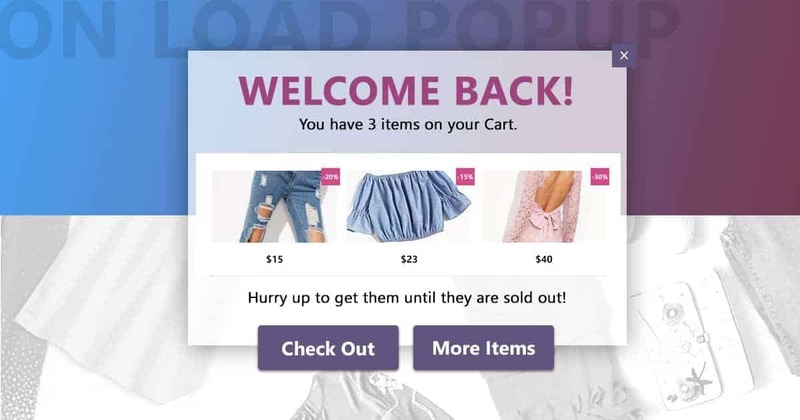 The only thing you need along with the great functionality is the knowledge of some effective popup campaign tricks that will help you to swiftly reduce shopping cart abandonment on your website and increase your sales. Keeping the connection with your customers/subscribers/users is one of the most important things you should consider to be a successful eCommerce owner. Newsletter updates are the most powerful tool you can use to keep the connection with your customers. First you need to collect subscribers list with a Subscription popup on your website. Enlarge your email list and start newsletter campaigns to reach more success. Sometimes users forget about items added to their carts or can’t decide whether to finalize the purchase or not. This is exactly when you need to make some pushes via Newsletter reminders to make them finalize the purchases on your site. Simply create an attractive and meaningful newsletter letter for your customers and send them reminding about the items they have left on their carts. A very motivating thing in this case will be creating a state of rush, so they think the items they have added are almost sold out. This will motivate them to go back and finalize the purchases. Exit Intent technology is the best effective method of bringing back the abandoning users. You literally catch them just as they try to leave your site. This is an ideal way to remind users about the items on their cart before they leave the site. You can go further and offer some discount if they come back and finalize their purchase. 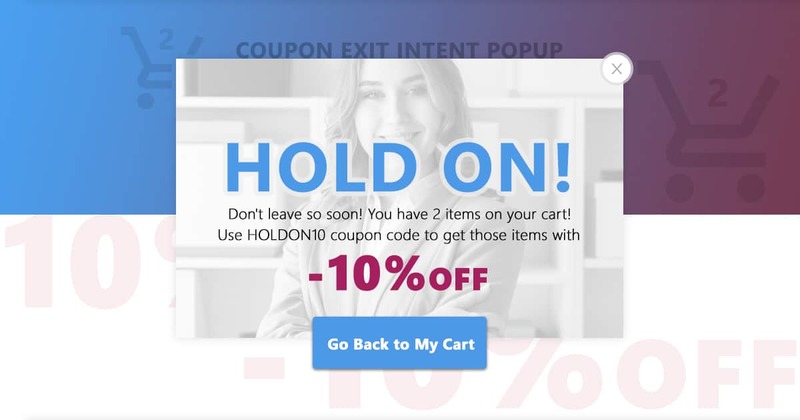 An exit intent popup will definitely help you to reduce the bounce rates on your site and increase the sales in the most productive way! 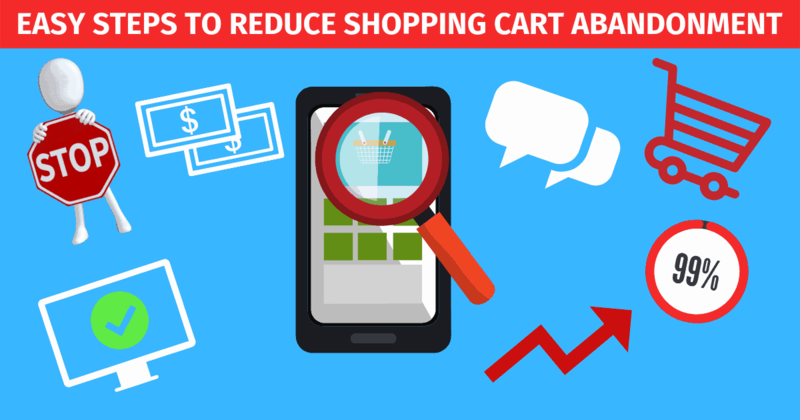 Automatic reminders can bring really good results in the reducing of shopping cart abandonment on your website. Your active customers visit your website very often, so you can make special reminders for them as they return to your website after a while. Create a simple popup showing the items they have added to their carts and didn’t purchase. Tell them that the items are almost sold out and they can miss the chance to get them. Set the popup to open with “On load” event, which means the popup will open automatically, as the page loads. Add 2 buttons in the popup – “Check Out”, which will take them to the cart so they can check out, and another button – “More Items” which will take them to the products page so they can pick more to purchase. Ever heard about “Inactivity” popup triggering event? Well, this is the most perfect tool to kind of “wake up” your customers when they hang on the checkout page not deciding to pay eventually. You can set the seconds of inactive state of your customers. After this a popup with an enticing offer will show up convincing your customers to finalize the purchase. Offer some discount or another good deal for the user to push them for paying. 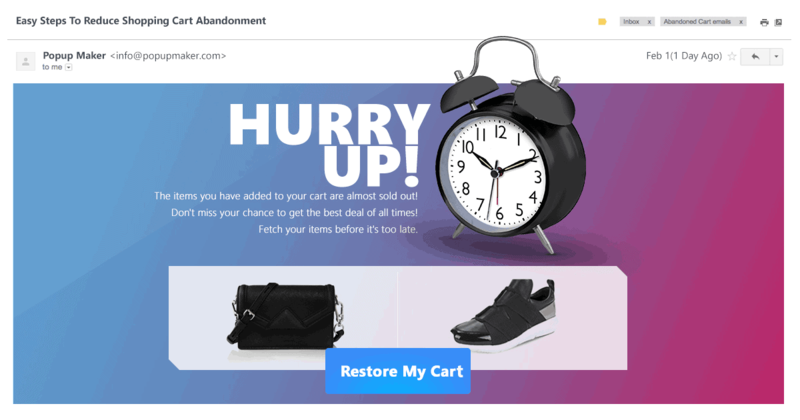 This is a great and very effective way of getting rid of cart abandonment on your website. You can easily increase your sales and conversion rates with an inactivity pop up on your cart pages. Ready to increase your sales now? You are all armed with great ideas and a perfect pop up creator tool to beat the cart abandonment and start earning more money on your store! Pick the right moment with correct popup triggering events, and make the best offers to entice your customers. Keep the connection via newsletter updates and you won’t miss a customer! Previous Post:How to Create a Custom Pop up for Any Website on My Own? Next Post:How to Run a Video Popup Marketing to Boost Your Sales?